SMi Group Reports: Leading agencies to present at the 12th annual Border Security Conference. 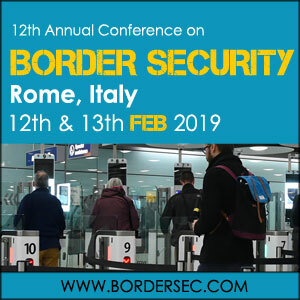 LONDON, UNITED KINGDOM, October 31, 2018 /EINPresswire.com/ -- The 12th Annual Border Security Conference will convene in Rome, Italy on the 12th and 13th February 2019. Conference organisers SMi Group are delighted to announce that attendees of the two-day event will get the chance to meet, network with and hear from 7 experts in border and airport security from the following bodies: EU Lisa, Europol, International Organisation for Migration (IOM), Airpol, OSCE, Interpol. The full agenda is available to download at from the event website.